Prehate is a quartet from South Tyrol in Italy. Founded in 2007, their debut 2012 came out already one year ago but only found its way to us quite recently. Even though superficially one could label Prehate a metalcore band, the guys do their best to set themselves apart from the majority of similar bands. Already the opener Survive shows that the band is not only technically gifted, but also has good songwriting skills. The songs are all between three and four minutes long, but that doesn’t mean that the same recipes are repeated over and over again. Metalcore may very well be the groundwork for their songs, but one can only marvel at the variety of different parts included. The fierce blasts are complemented with fat breakdowns and astonishingly groovy parts. Thanks to the high number of pace changes, we get an enormously dynamic product. Even the vocals are anything but monotonous, with the predominating mean growls making way occasionally for screams. Just don’t expect clean vocals, but then they would feel out of place. At times the band is acting very darkly, which also works quite well for them. 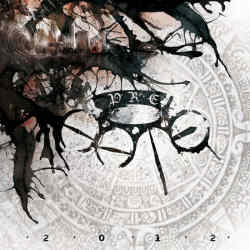 2012 has turned out to be a respectable debut that should appeal to fans of bands like Caliban and Heaven Shall Burn. We should expect the follow-up to come already this Fall. If the band is able to top the already excellent impression they left here, we should be in for something to truly look forward to.